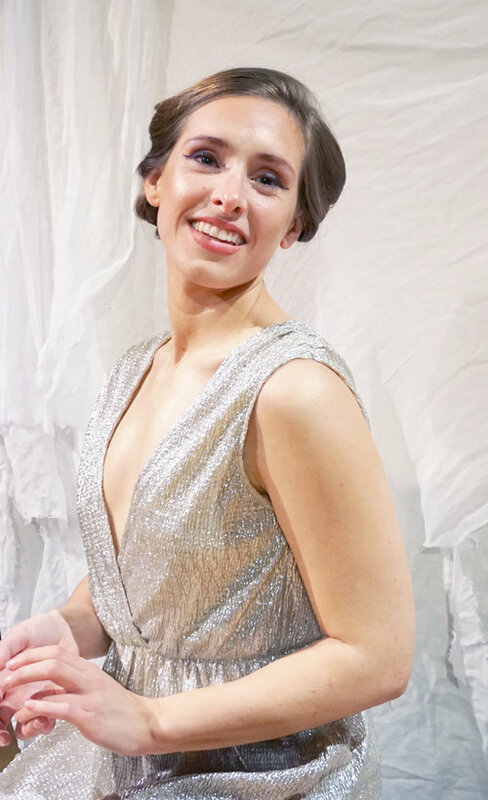 Works by Women San Francisco is thrilled to be the new home of the Counting Actors Project, created and managed by Bay Area actor Valerie Weak. This project began in June 2011, and an archive of past posts can be found here. For those who have followed this project from the SF Bay Area Actor blog, thanks for making the journey. 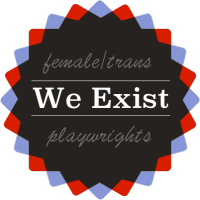 Our hope is that by moving the project to the WWSF blog it will have a wider reach and lead to even more conversation about issues of representation in Bay Area theater. For general information about the project including selection criteria and info about how to submit a show for inclusion in the project, please go here. 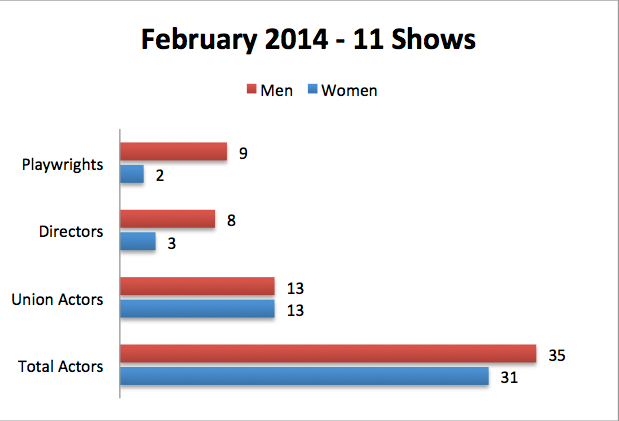 February’s count includes 11 shows, bringing the total shows counted by the project to 374 shows. Playwrights = 11; 2 women and 9 men. Directors = 11; 3 women and 8 men. Union Actors = 26; 13 women and 13 men. Total Actors = 66; 26 union and 40 non-union; 60 local and 6 non-local. Smell of the Kill (City Lights Theater Company), Note: 3 male actors counted in this cast are heard but not seen onstage. Twelfth Night (California Shakespeare Theater), Note: all female cast playing both male and female characters; male musician not included in the count. This is a community/touring production not a mainstage. *The Counting Actors project recognizes that the male/female binary nature of the count doesn’t capture all of the nuance and scope of the trans and genderqueer community. The project attempts to count artists in the way they self-identify, so those using he/him pronouns are counted as male, those using she/her pronouns are counted as female and those using they/zhe/hir or similar pronouns will be counted in a 3rd category. Thank you so much to the audience members, cast members and artistic staff who contributed show statistics this past month, including Matt Weimer, Lisa Mallette, Kelly Ground, and Skip Emerson. If you’d like to submit statistics for a show with March performances, please go here to learn how to share the info. And please keep talking (or start talking!) about the numbers you see here – whether that’s in the green room or an online theater artists chat group. Statistics for March will go up between April 1st and April 5th.